Across the country, children are starting school. And with the start of a new school year comes the ubiquitous yellow school bus. For decades, the school bus has been a common sight from August to May. But the yellow school buses were not always chugging along on the highways with their cargo of children. 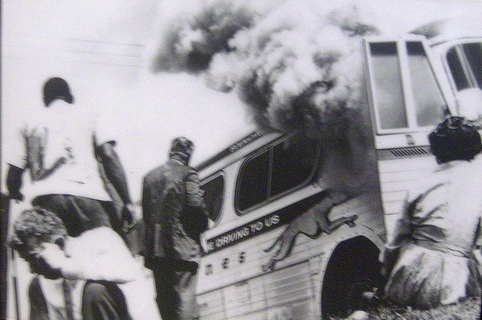 Today, most integration busing programs have been terminated. 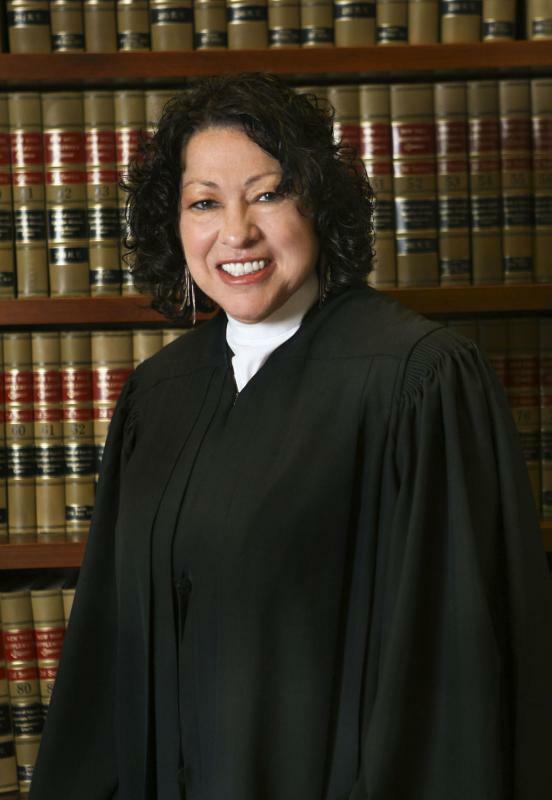 According to Aretha, a large number of schools are still segregated. Charter and magnet schools have sprung up as a way to combat segregation, but they are not always successful. Children are now bused for convenience more than a need to change. And segregation still rears its ugly head. 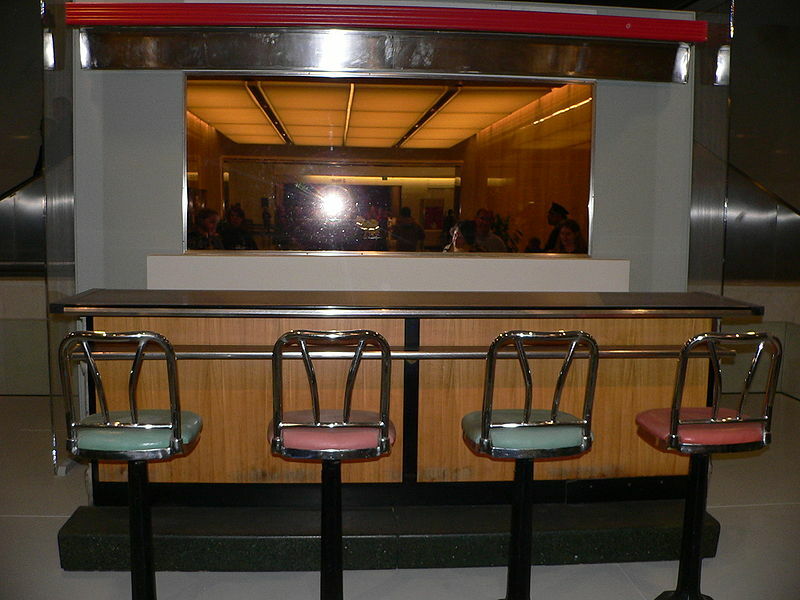 A section of lunch counter from the Greensboro, North Carolina, Woolworth's. Photo Courtesy of Mark Pellegrini. “In 1960, four students of North Carolina A&T University staged a sit-in at a whites-only lunch counter. Despite fears of arrest, beatings, or worse, the four spent the day at the counter, quietly and politely. The next day, they came back, with more protesters. 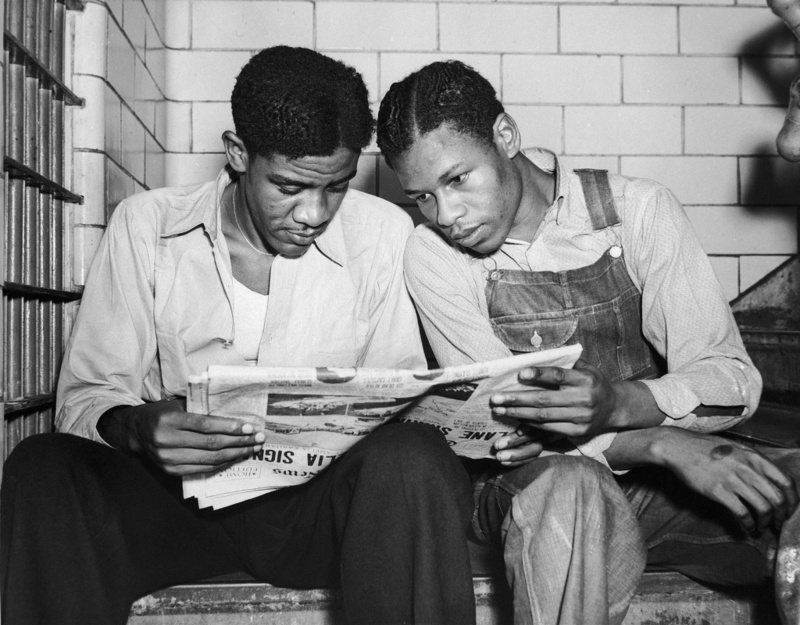 Soon, they inspired sit-in movements throughout the South,” wrote Dave Aretha in Sit-Ins and Freedom Rides, part of Morgan Reynolds’s Civil Rights Movement series. Black history month begins tomorrow. During the month of February, we honor all of those individuals who fought for freedom during the civil rights movement, including the four A&T students who took a stand, or rather a seat, at a whites-only lunch counter. That Woolworth’s has since been memorialized as part of the International Civil Rights Museum, located just a few blocks from Morgan Reynolds. Calvin Craig Miller wrote in No Easy Answers: The Story of Bayard Rustin that nonviolent resistance was a popular form of protest during the civil rights movement. 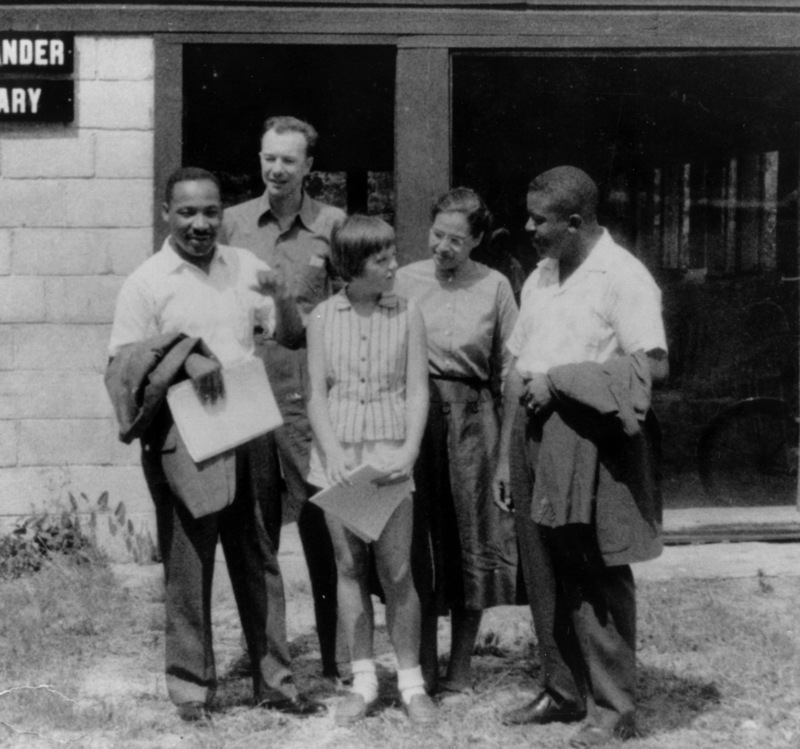 Civil rights leader Bayard Rustin, according to Miller, “believed that [nonviolent resistance] could also provide a model for achieving racial equality.” Many involved in the movement agreed. And so the Greensboro Four used nonviolent resistance to protest their lack of freedom to eat at a lunch counter. Today, a statue honoring the Four stands in front of Dudley Building on A&T’s campus in Greensboro. Learn more about the civil rights movement by checking out our Civil Rights Movement series (ISBN 9781599350738) and our Civil Rights Leaders series (ISBN 9781931798990). 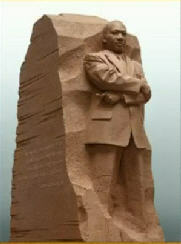 Yesterday, the long-awaited Martin Luther King Jr. Memorial was unveiled on the National Mall in Washington, D.C. The official dedication ceremony will be on August 28, but the statue is currently open to the public. 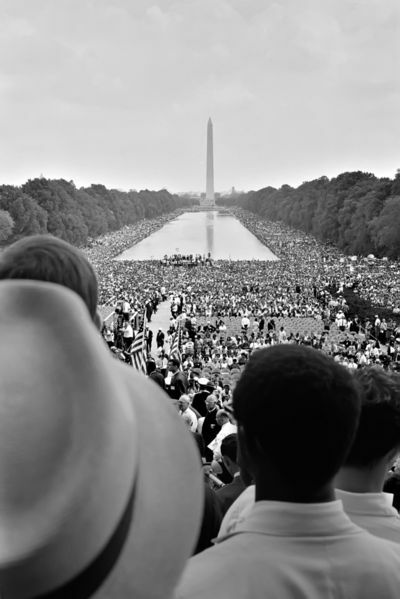 An artist's rendering of the "Stone of Hope"
August 28 marks the forty-eighth anniversary of the March on Washington for Jobs and Freedom, when King made his “I Have a Dream” speech. On the morning of August 28, 1963, the city of Washington seemed deserted, according to Calvin Craig Miller, author of No Easy Answers: Bayard Rustin and the Civil Rights Movement. Numerous writers would describe the atmosphere as that of a besieged city, as though the country were at war. Yet the force that caused such anxiety was one that carried no weapons. Its leaders promised a peaceful march. . . Its speakers planned to ask for simple, basic rights for African Americans– a chance to cast their ballots in elections, to live and go to school in the same neighborhoods and schools as whites, to get job training, and to earn a minimum wage. 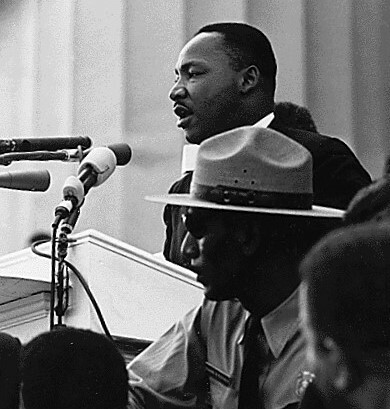 It was his push toward change and his efforts in the Civil Rights Movement that inspired the memorial’s creation. Now, visitors to our nation’s capital can look at his statue and remember how far we have come and far we still have to go. 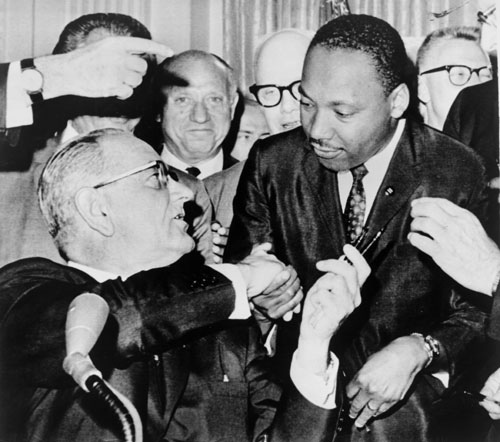 Tags: anniversary, civil rights, Civil Rights Movement, history, Martin Luther King Jr. 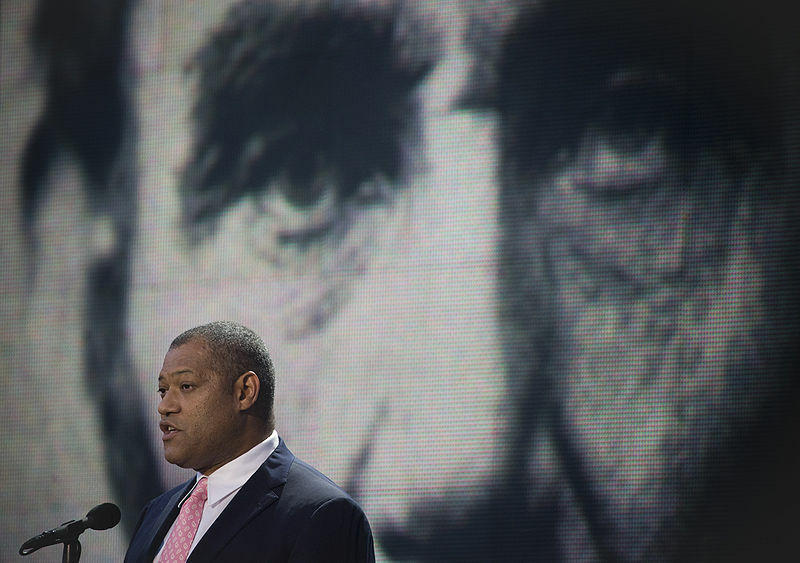 Yesterday, Laurence Fishburne was nominated for an Emmy for his performance as Thurgood Marshall in the one-man play Thurgood, written by George Stevens Jr.
And in his embodiment of the proud, ambitious, restless Marshall, who took robustly to heart the idea that the law can be a powerful tool for social change, Fishburne cements a bond of astonishing intimacy with his audience. By the time he arrives at the end of the story, as an aged insider in one of the nation’s most revered institutions [the Supreme Court], the actor will have completed the task of confiding the details of Marshall’s life in a most entertainingly digestible way. But his serious side, that passionate never-say-never attitude, was what made him able to make progress for black Americans during the Civil Rights Movement as a Supreme Court Justice.